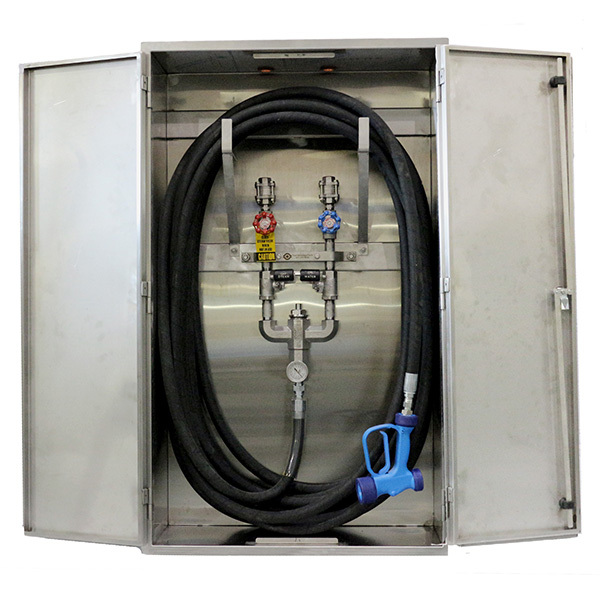 The Model MRE enclosure is specifically designed to provide a secure, uncluttered environment for ThermOmegaTech® Washdown Stations, Hoses and Guns. The MRE stainless steel enclosure is intended for recessed wall type installations and is flush mount which allows the doors to open a full 180° for easy accessibility. Two separate hose racks are included to accommodate convenient access and storage for short or long hoses up to 100ft. © 2019 ThermOmegaTech, Inc. All rights reserved.